N.B. This was written with children with dyslexia in mind but the idea reaches out to all parents and professionals working with children. As important as reading and writing are to the freedom that comes with literacy, seeing them as the only answer to the problem of growing up with dyslexia would be misleading, or even falling short of offering children the real keys to the kingdom of their future. That we need good linguistic skills to communicate and express ourselves goes without saying, but at least as - if not more – important, is to be well acquainted with yourself and to have pleasure at being that unique person. Human beings take longer to mature into adulthood than any other species. This journey is a process of unfolding, revealing and developing of the talents that each child brings into the world. To ‘educate’ means to ‘draw out’. Just as we don’t expect roosters to sing like nightingales or that we value the difference between dolphins and sharks, so too must we give our dyslexic children the opportunity to discover that they are more than that struggle to read and write. Parents in particular, can play an important role in keeping the light shining on their children’s greater gifts. Dyslexic children can be distinguished from a very young age by traits such as their charisma, creativity, curiosity, hands-on approach or ease with animals and the natural world. The experience of school can be a rude awakening and it often won’t take long for these expressive, carefree children to lose their confident enthusiasm and develop a multitude of signs of stress or controlling behaviour. This does not have to be so. As parents we can help keep the inner spark alive. 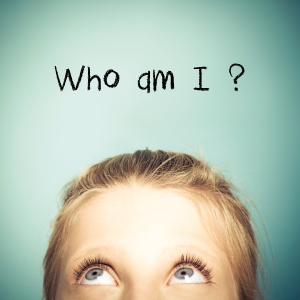 Good self-awareness will lead to effective self-management, increasing the chances of becoming a rounded individual, who feels connected to, and co-responsible for, others and the wider community.